Although some younger men do get prostate cancer, the risk increases with age. More than 70% of all prostate cancer patients are over the age of 65 and about 75% of all men over the age of 80 will have some form of prostate cancer, according to the National Cancer Institute. In addition to age, other risk factors include ethnicity, genetic factors and diet. African-American and Latino men have a greater risk of developing prostate cancer than Caucasian men; Asian and Native American men have the lowest risk. There is also some evidence that diet plays a role in prostate cancer. Studies have found a higher incidence of prostate cancer in men whose diets are high in fats, particularly animal fats, and low in vegetables. A family history of prostate cancer also increases the chances of developing the disease. Many advances in the treatment of prostate cancer have occurred in the past decade. For example, new surgical procedures and improvements in radiation therapy have proven to be extremely effective and, in many instances, have minimal side effects. Advances in both hormonal therapy and chemotherapy have made the disease much more manageable so that, even if it cannot be cured, a man can still experience a good quality of life while living with prostate cancer. 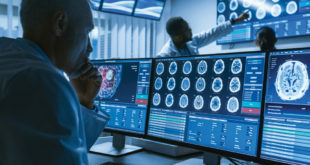 • Active surveillance – In active surveillance, your doctor will carefully monitor your prostate cancer on a regular basis – usually every three to six months. Some prostate cancers grow so slowly that they would never lead to death, or even cause any problems or symptoms. Closely watching this type of prostate cancer is often the best treatment option. • Hormone therapy: There are several types of hormone therapies, however, the overall goal of every type is the same: to reduce the levels of male hormones, called androgens – or to prevent the hormones from reaching prostate gland cells. Since androgens stimulate prostate cells to grow, reducing the overall level of androgens in the body can often shrink a tumor or cause it to grow more slowly for a time. • Radiation: Radiation treatment uses high-energy beams to destroy cancer cells. New and improved techniques such as conformal radiation therapy (CRT) and intensity modulated radiation therapy (IMRT) use computers to map the prostate and deliver focused radiation to cancer cells while sparring healthy, normal surrounding tissue. 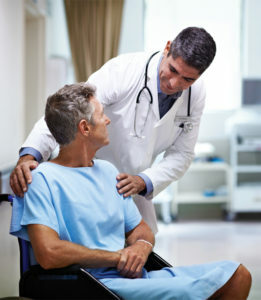 • Surgery: Prostate cancer surgery is used to remove either the whole prostate or only part of it. Surgery is most often recommended for men with early prostate cancer. However, it can be used for later stages as well. If cancer has spread to the lymph nodes, the surgeon may not remove your prostate. Instead, you may need another type of treatment. • Chemotherapy: Chemotherapy is the administration of anti-cancer drugs, either through IV injection into the vein or by mouth in pill form. Chemotherapy is not usually given unless the cancer has spread outside of the prostate gland – or it becomes an option when the cancer no longer responds to hormone therapy. Florida Cancer Specialists & Research Institute (FCS) has put together a network of expert, board-certified physicians who bring world‐class cancer treatments to local communities, both large and small, across the state. With nearly 100 locations, FCS is the largest independent oncology and hematology group in the United States. That status puts the practice on the leading edge of clinical trial research and gives FCS physicians access to the newest, most innovative treatments. Florida Cancer Specialists treats patients with all types of cancer and offers a number of services such as an in-house specialty pharmacy, an in-house pathology lab and financial counselors at every location, that deliver the most advanced and personalized care in your local community. Previous Can Anyone Please Help My Painful Feet?